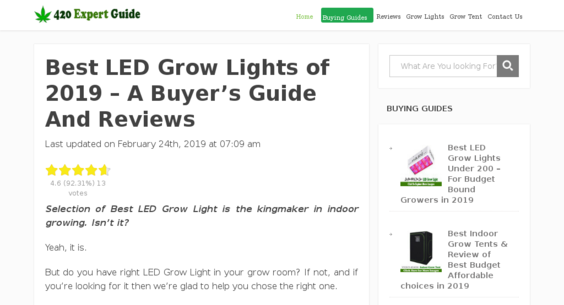 420ExpertGuide.com — Website Listed on Flippa: High-growth Amazon Associates site making $1300/mo going forward. Growing niche! High-growth Amazon Associates site making $1300/mo going forward. Growing niche! This is an Amazon Associates website in the marijuana niche. Website made $1346 in Feb 2019. Website has been optimized for earnings/growth. Traffic & earnings are increasing! Easy to maintain!